For a long time, I took Flannery O’Connor’s quip about universities and writers (when asked if universities stifle writers, she responded: “not enough of them”) to be an elitist view of the gatekeeping function performed by big-name MFA programs such as her alma mater, the University of Iowa. 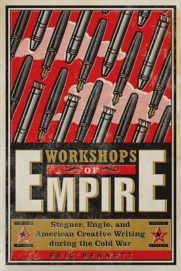 After reading Eric Bennett’s Workshops of Empire: Stegner, Engle, and American Creative Writing During the Cold War, I’m less willing to interpret it as plain snobbishness or cranky hierarchal thinking; I now see the attitude as the desired product of an ideological program set in motion during the Cold War. In Workshops, Bennett demonstrates how the aesthetic dominance of the Iowa Writers’ Workshop, run by Paul Engle, and the creative writing program at Stanford, run by Wallace Stegner, were specific products of their place and time: the U.S. in the 1950s. The programs were not only funded and supported by various policies and agencies of the government (such as the GI Bill and the CIA and UNESCO), but also by private foundations (notably the Rockefeller Foundation). Bennett’s book is part of the emerging academic genre of “institutional studies,” and he uses a combination of archival research, literary analysis, social history, and intellectual history. This genre, especially as it pertains to writing and its institutions, will become more important as we realize that specific, contingent, and grounded history is crucial to our discourses about writing. While many have attributed words such as “natural” and “quality” to the phenomenon of Iowa’s eminence and dominance, Bennett argues that the type of writing valued at Iowa (and the programs established by its alums) grew out of specific goals and desires, as well as “ambitions and weird fears,” associated with the Cold War. When those goals dovetailed with governmental or philanthropic goals, they were funded quite well. Bennett begins by limning the intellectual climate of the Cold War, reaching back to a previous era when Paul Engle was mentored by Norman Foerster, a scion of the New Humanism movement. “New Humanism,” active for the first years of the twentieth century, promoted a kind of ethical and aesthetic system highly dependent on the idea of the salvific, liberalist individual who was particular, complex, independent, and irreducible. This writer and his works would be immune to the seductions of mass-inciting and mass-produced “theory” and ideology such as communism and fascism. For New Humanists, including Foerster’s mentor Irving Babbitt, literature was not a genre of knowledge, but a “mode of aesthetic appreciation,” and over the years, the fiction and poetry that most exemplified this cultivation—the realistic yet literary fiction and the individualistic / quietist poetry—would dominate at Iowa. Bennett argues that what we know as the “Iowa style” wasn’t just a style. In affirming the “wholeness” of the human being, this sort of literature disavowed social, cultural, or political theories that might threaten that irreducible wholeness. Programs that trained post-war graduate students in this aesthetic helped protect writers from those theories by softly containing writers within universities. 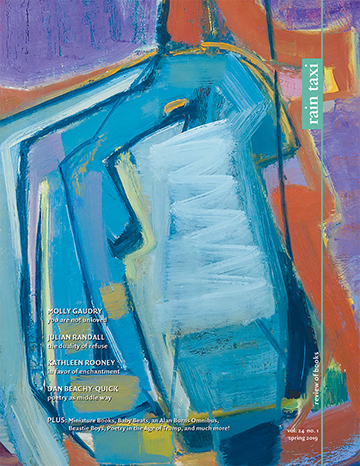 In his chapter “The Rockefeller Foundation and Postwar Internationalism,” Bennett effectively uses archival research to show how financial underwriting from influential private institutions, as well as organizations such as USIA and UNESCO, played a “larger role in the institutionalization of Creative Writing than any one poet, novelist, or professor”. For example, Rockefeller Foundation money supported The Kenyon Review in providing substantial writers’ grants, allowing the journal to establish itself as the standard bearer of New Criticism and to promote and elevate the careers of its favorite authors. Calling Engle “The Creative Writing Cold Warrior,” Bennett shows how Engle’s biography positioned him to become the champion of Midwestern American values as expressed in and through the Writers’ Workshop. Bennett argues that Engle’s incredible energy (as well as a fervent rejection of his youthful “pink” phase) helped him to develop relationships with extra-institutional funders, including the CIA, and to provide the workshop its position at the top of the workshop hierarchy. In his chapter on Stegner, Bennett focuses more on that director’s personality—his forging of a middle way between the Romantic rebel and the academic institution—the “artist in the faculty lounge” as a component of the workshop’s success. Bennett also portrays Stegner’s essential centrism with compassion and insight, arguing that Stegner’s embrace of centrism (and rejection of all forms of militancy) allowed him to succeed in the first decades of the Stanford program. Later, his stance against militancy was seen by a younger generation as too conservative. The purging of abstraction, the rejection of intellectualism and big theories, and the almost religious emphasis on senses over ideas in writing workshops, were not always already there, Bennett argues convincingly. He states that his main priority for Workshops was to “contribute to the artistic freedom of writers writing today by making clear that conventions that often go without saying—conventions that are invisible because seemingly timeless—once emerged from contingent historical circumstances.” Those circumstances included the “pervading anxiety” of the Cold War, and particularly for Engle, the 1950s cultural conflation of the author figure with the figure of the communist, homosexual, or transient. The most important part of the conclusion is Bennett’s meditation on how much current writing programs and pedagogy reflect Cold War origins in prioritizing senses over ideas. While focusing on the senses might be a good beginning pedagogical tool, Bennett feels the teaching shouldn’t end there, for “the history of literature makes clear that some of the most enlivening and fruitful debates about poetic form and social significance have raised and interrogated rather than foreclosed the question of the relationship between the sensory and the abstract, the lived and the reasoned out. That hundreds of MFA programs, or even that scores of them, should unwittingly stifle such conversations constitutes a failure.” Workshops is a crucial text in our understanding of that failure. This entry was posted in Uncategorized and tagged Fall 2016 on October 28, 2016 by Kelly.